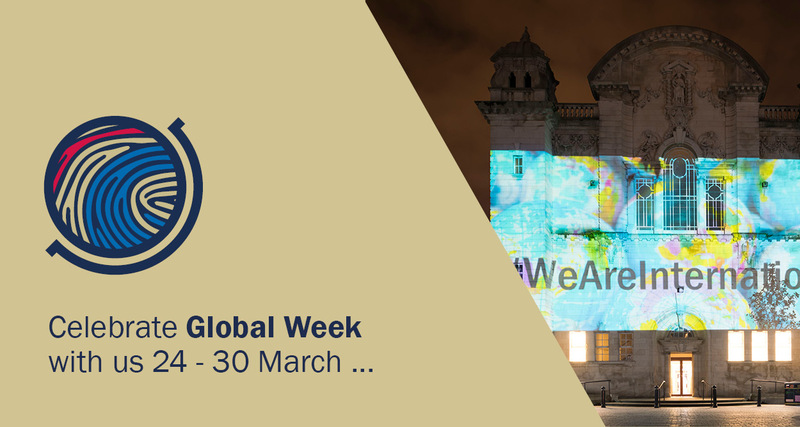 This March the University is celebrating the unique cultures and shared experiences of students and staff at Cardiff University through a series of globally themed events. The events, arranged jointly between Cardiff University and the International Students Association take place from the 24 to the 30 of March. Thumbs up for Global Week! This event, organised by the Students’ Union, is an annual celebration of the Culture and Diversity found in the Students’ Union’s Guild of Societies, involving student performances influenced by incredible journeys around the world. For more information and tickets, visit www.cardiffstudents.com/whatson/annual/goglobal this event provides a great start upon which to continue the celebrations at Cardiff University and throughout Global Week. A day showcasing a host of international films (in English or with English subtitles) celebrating the diversity of art work and on-screen talent of global film makers including those studying at Cardiff University. A celebration of Cardiff University’s diverse home and international societies, all under the one roof. Come and explore the stalls, sample some of the tasty treats on offer, and meet the University’s student support services. EU Student Briefing, 11.00 and 17.00, International Student Support (3rd Floor, Students’ Union): Two identical talks addressing the issues potentially facing EU students following the UK’s departure from the EU. Legal clinic, 10.00-16.00, International Student Support (3rd Floor, Students’ Union): Law firm Jennifer Melly Law will deliver a free legal advice drop-in clinic to all students with questions and concerns ranging from housing law to family law, litigation and other areas. Housing Advice, 10.00, International Student Support (3rd Floor, Students’ Union): Confused by contracts, guarantors or deposits? Landlord disputes? Come to a housing advice workshop delivered by Student Advice. Tier 4 visa workshop, 13.00, International Student Support (3rd Floor, Students’ Union): Are you thinking of continuing your studies with Cardiff University? Unsure of how resits or repeats affect your Tier 4 visa? Join us for an interactive Tier 4 workshop and find out how ISS can assist you throughout the process! Post-study visa options workshop, 14.30, International Student Support (3rd Floor, Students’ Union): Thinking of gaining some work experience in the UK after your studies? Before the Grads Love Cardiff Careers Fair at the Great Hall on Thursday, come to our workshop to learn about work-based immigration, entrepreneurial routes and family-based applications. Academic Regulations, 16.00, International Student Support (3rd Floor, Students’ Union): Have questions about academic regulations? Are your studies being affected by a difficult situation? Worried about Unfair Practice? Come to an Academic Regulations workshop delivered by Student Advice. Come and test your global knowledge with prizes available for the winning team. Come and register your team for £5 at International Student Support (ISS) reception, 3rd Floor, Students’ Union. Maximum 5 people to a team. Doors open at 19.30 for a 20.00 start. Hurry…space is limited! Cardiff University FC v KU Leuven FC – Catch one of our free minibuses on Senghennydd Road to support our senior teams play against our partnership university. Ladies’ KO at 13.00 and Mens’ KO at 15.00. 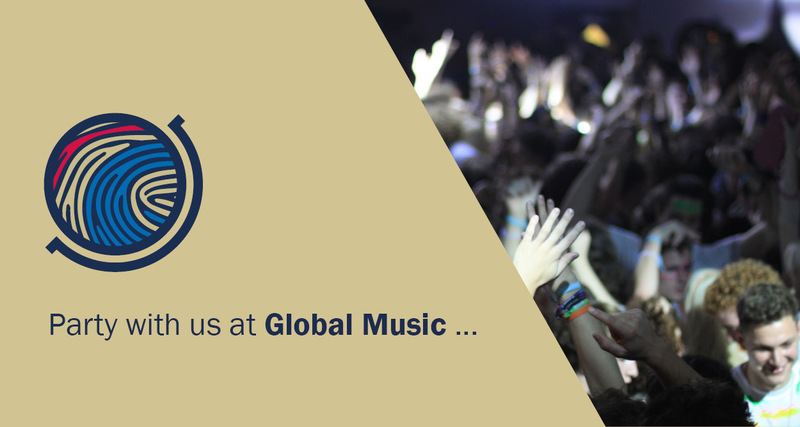 Join us for a party with an international DJ who will be hosting a night of music with a global twist. Tickets are £4, book yours now! Thinking of gaining some work experience in the UK after your studies? Before you drop in at the Grads Love Cardiff Careers Fair in the Great Hall, come to our workshop on post-study visa options! Learn about work-based immigration, entrepreneurial routes and family-based applications. The Student Support Centrehas a range of services dedicated to helping students make the most of their time at University, including: Advice and Money, Careers and Employability, Counselling, Health and Wellbeing, Disability and Dyslexia and International Student Support.